Here’s another commercial photography shoot I did for The Arabian Tent Company / House of Hud last week. I took photos of the same Oyster Pearl tent as the week before, but this time with a different interior design. 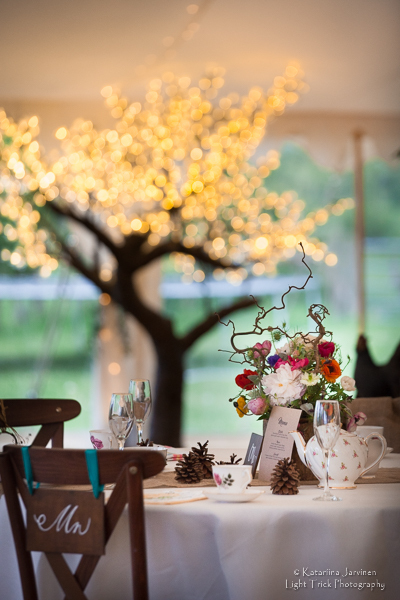 This one is for woodland theme weddings, and what a magical venue they had created yet again! The weather wasn’t the best for exterior photos, but I had to take one or two to snaps to show the size of the marquee. And here are some shots of the woodland themed interior. Loved this amazing bird’s nest chandelier. Wedding props were provided by Not Your Average I Do and House of Hud. Wedding invitations/ menu card by Lisa Loves Design. Click here to see this tent with Rose Blush interior design.